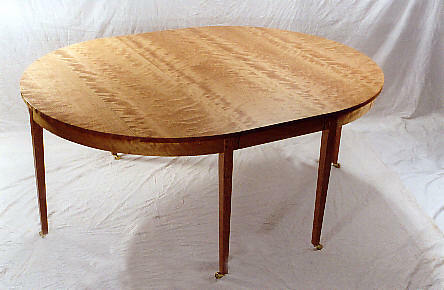 This table was built from a single log of highly figured Pennsylvania Cherry. This extension table is shown with one of two leaves. A set of six CHAIRS were designed for Ray and Joanne.